Bedrooms are a private haven, a place to sleep but also a place to face the day; a room to get ready in; and the room to store the majority of the items you need daily. That’s why design is so crucial when it comes to bedrooms, wardrobes and walk-in robes, to make the most of the space and fulfil all these requirements. Comfort and storage are two of the most critical elements to a bedroom; where the bed is in relation to the rest of the room, nightstands, access to technology, light switches and window placement are all factors. 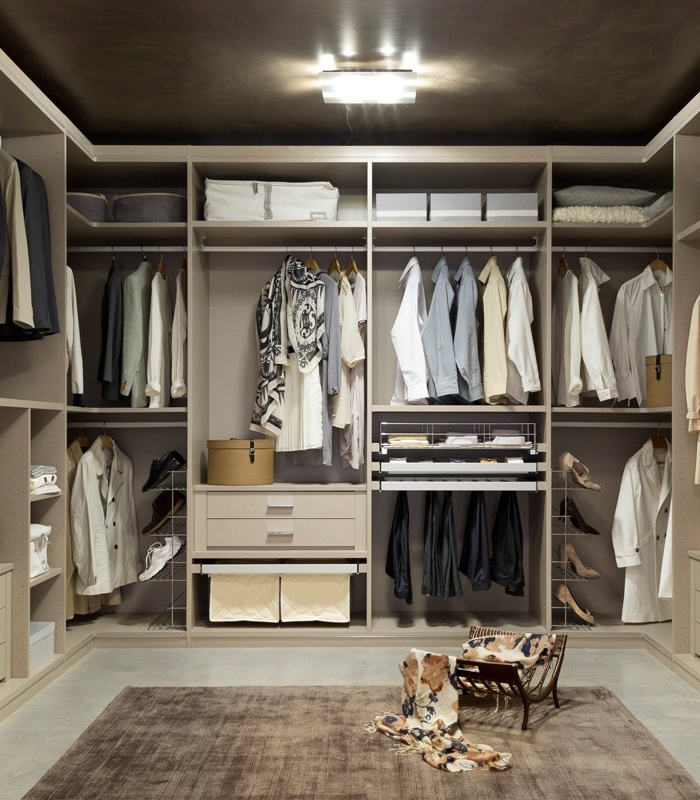 Built-in or freestanding furniture, depending on your tastes and space is another major design decision; how much storage do you need and is there the space for a walk-in robe come dressing room? There is a huge choice of clever design-led storage options that integrate storage efficiently and stylishly. Fitted bedrooms and robes don’t have to look like 1980’s throwbacks, there are thousands of clever design-led storage options that integrate storage efficiently and beautifully. Every girl’s dream and every man’s requirement as style and choice become more prevalent for both sexes. Space for dressing rooms can come from converted bedrooms, off plan on a new build or newly created by adding a divider in the bedroom and using existing space. Quite often the dressing room will be a walk-through space which leads to the ensuite bathroom. Pull-out shelves that house shoe racks and compartments for your accessories are very popular. We love to design fabulous interiors, but often forget to cover one important group – kids! Most parents agree that providing their children with a wonderful living space in which they can thrive, learn and play is of paramount importance, which is why we’ve have added this amazing range of design ideas for children’s rooms. A child’s surroundings can have a huge impact on how they grow and develop, so parents always try to make their children’s living spaces as comfortable and fun as possible. Sleeping in a bedroom that can provide all the storage needs of a growing child, and be a statement about who they are, is all about interesting design and the adaptability as the child grows.